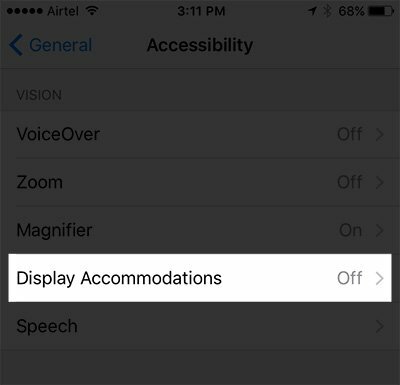 Enable iPhone Dark Mode in iOS 10 And iOS 11: Night Mode is an option which lets you convert the bright screen into darker. I will protect your eyes, and also give comfortable screen experience at night. Most of your devices like smartphones and Kindle have this feature. The iPhones also have this feature. So, if you use iPhone, you should know about this feature. First of all, there is no feature in iPhones and iPad called ‘Dark Mode’. 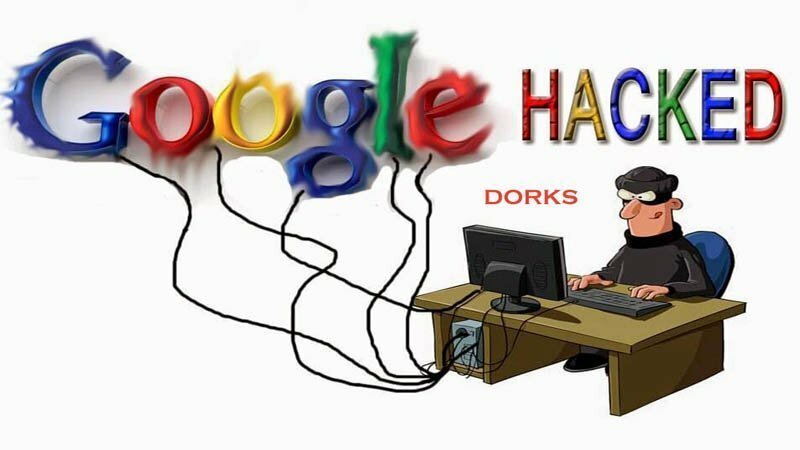 We call it as this because it is present in the smartphone. 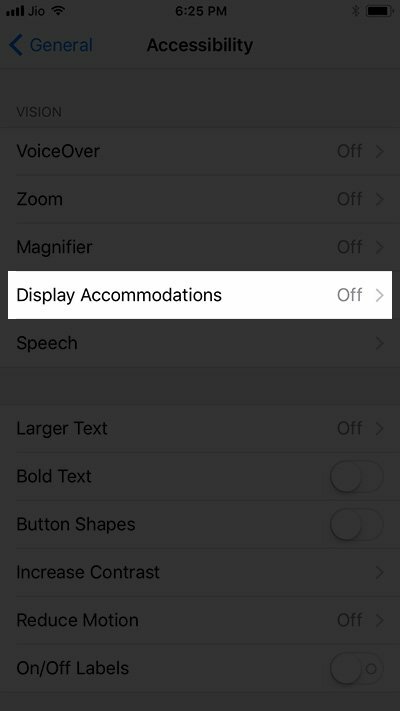 The iPhones and iPad have a similar layout which can allow you experience night mode greatly on your iPhone. 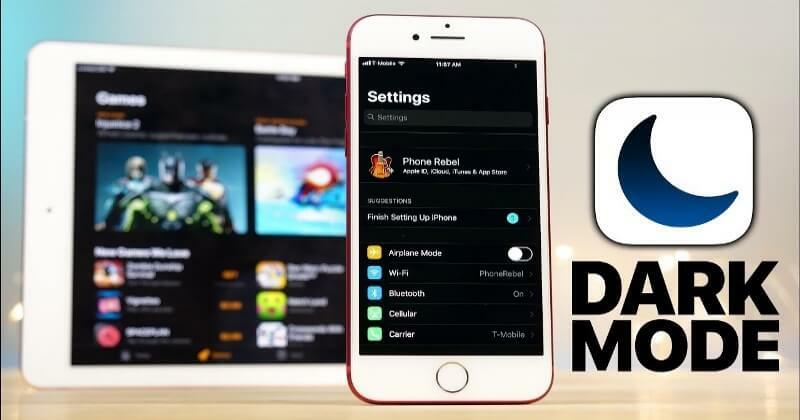 So, without wasting time let’s discuss the method to turn on this Mode in iPhone as well as iPad. 1. 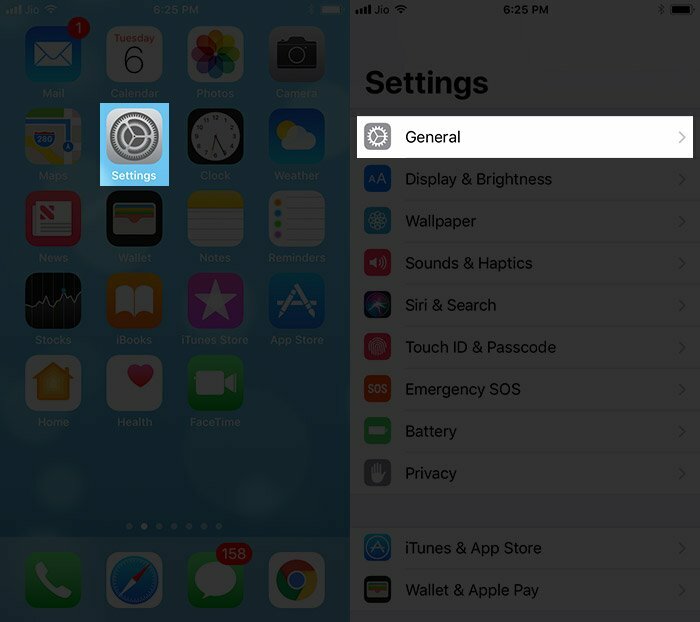 Navigate to Settings app on the iOS device you have. 2. 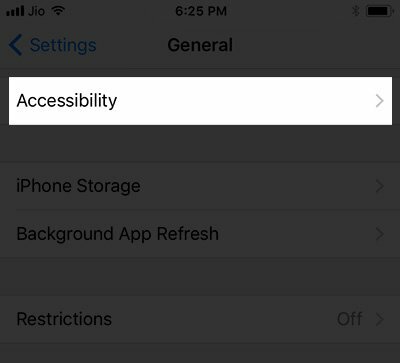 Click on General> Accessibility. 4. Click on Display Accommodation. 5. Swipe up the “Invert Colors” button. 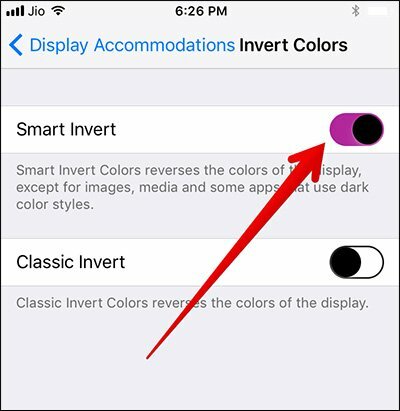 Now, you will notice that your device colors are inverted. It will be more comfortable to see the screen at night. 6. Now, click on Color Filters. 7. 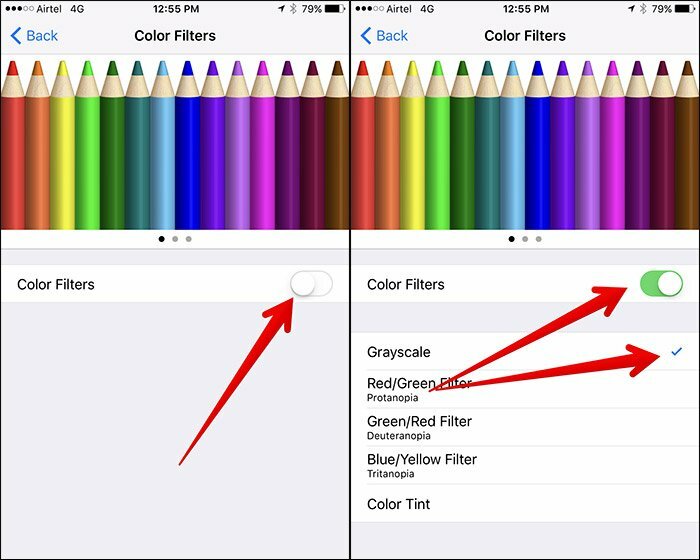 Then, switch on the ‘switch next’ to ‘Color Filters’. Tap on Grayscale. 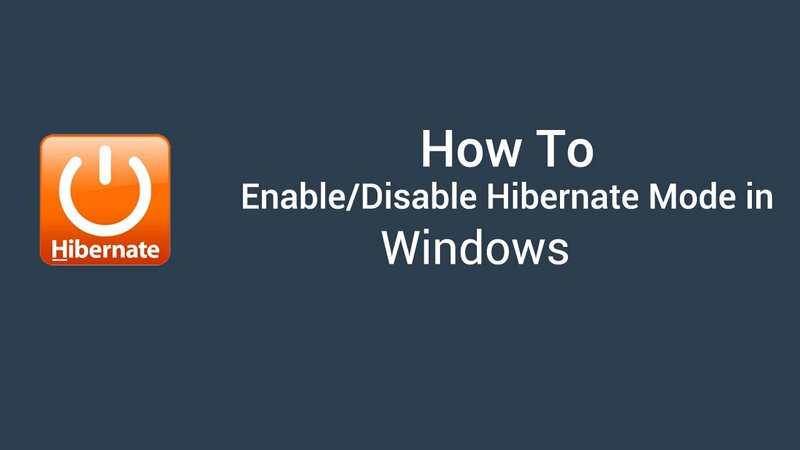 With this step, your screen will turn dark. 8. 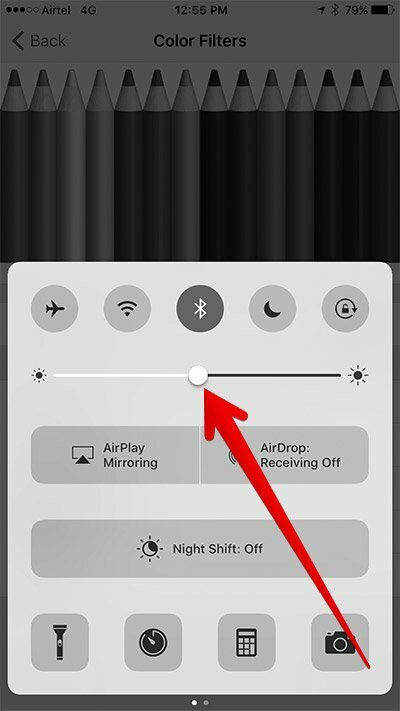 You have to swipe up from the bottom of your device and move the brightness slider in the center. 1. 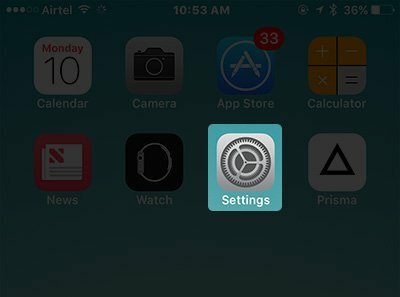 Navigate to Settings app on the iOS device you have. Then, click on the General option. 3. Now, you have to click on Display Accommodations. 4. Then, click on Invert Colors. 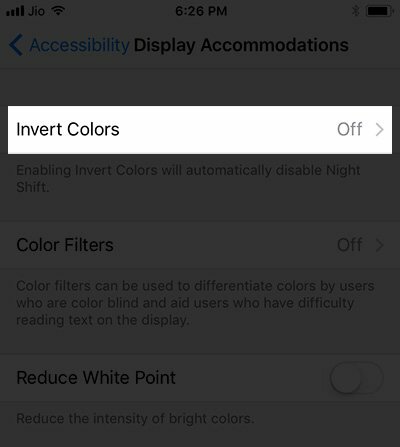 Smart Invert: It changes the colors of the screen without changing the color of media and images. It also operates with the apps that maintain dark color forms. 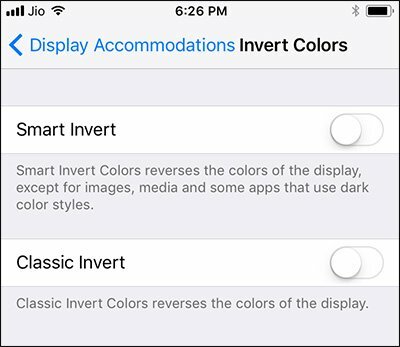 Classic Invert: It just changes the colors of the display. 6. In the last step, swipe the button beside Smart Invert. It’s done, now you will notice the feature activated in your device. You can turn off this feature whenever you want. 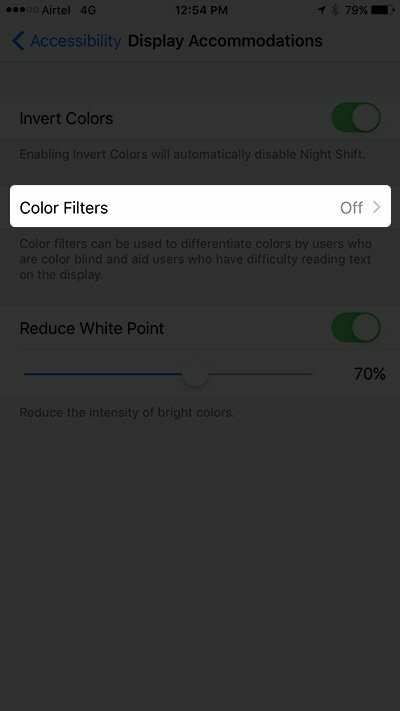 So, enjoy reading and surfing in low brightness with this smart feature without harming your eyes. SO this is called enabling Dark Mode in iOS 10 and iOS 11.